The Albatroz Hotel, together with its sister establishments the Albatroz Beachside Palace and the Albatroz Bayside Villa, form the esteemed Albatroz Collection situated in Cascais, just a short distance from the famous village of Sintra and within easy reach of Portugal’s leading International Airport at Lisbon. 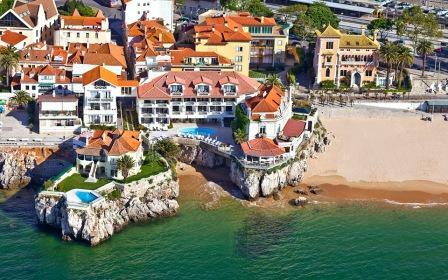 Offering 44 rooms and eight suites, the Albatroz Hotel offers luxury accommodation in a beautiful seafront setting, perched high above the bay of Cascais. 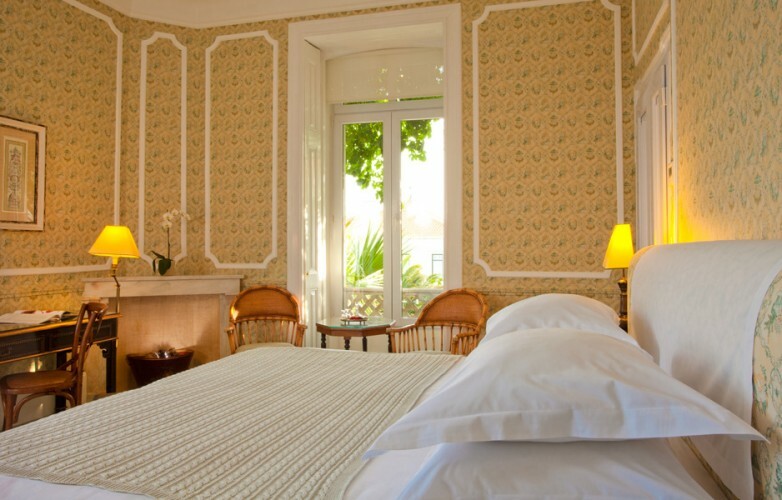 In homage to its historical past, the buildings have been carefully renovated in traditional style with a modern twist, the individually designed rooms offering twenty-first century comforts with a foot still in the hotel’s colourful past. A broad selection of room types ranges from standard twins and doubles to luxury suites with every conceivable added extra. All rooms offer guests a welcome bottle of port wine, cable TV with international channels, well-stocked minibar, wireless internet access, anti-allergic pillows, hot and cold air conditioning, telephone and full en-suite bathroom with complementary toiletries, phone, hairdryer and vanity mirrors. 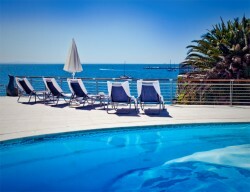 Standard twin and double rooms are approximately 20m2 and are located either in the main hotel building offering views to town, or in one of several buildings located in the hotel grounds and with views of the beach or sea. 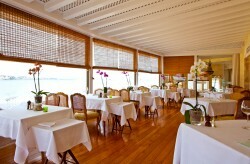 Superior rooms are a little larger and offer balconies with sea view and are located in the main building and the white house. Suites and junior suites range between 40m2 and 60m2 and are located in buildings in the hotel grounds, offering prime sea and beach views. 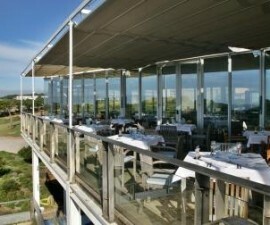 The hotel’s bar and terrace make the perfect spot to enjoy a relaxing early evening drink as the sun slips beneath the horizon out to the west over the Atlantic, while the very best views of the beautiful Estoril coastline can be found in the Restaurant Albatroz which serves up many of Portugal’s favourite fish and seafood dishes. The hotel is popular amongst couples and small groups as well as for business travellers thanks to its meeting rooms of various sizes and styles that are available for meetings, conferences and private events. Tee times for local golf courses can be reserved directly from the hotel and golf equipment is available to hire from the clubs and competitive rates. 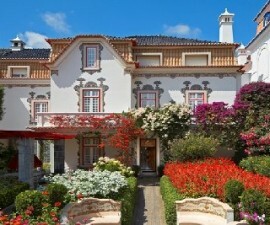 Other nearby activities include water sports, mountain bike riding, tennis and range of natural and architectural delights just waiting to be explored, making the Albatroz Hotel the perfect location for a stay in Cascais.